Most men know why they wear a belt – after all, it’s one of the most functional parts of their wardrobes. But a belt is more than just a tool to keep your pants from falling to your ankles. Belts can also serve a key fashion role, especially when worn with the right clothes, colors, etc. Your belt says a lot about you and we think belts are an important enough subject that we want to devote this article to the best belts for men. We’ll provide our reviews of the best belts for men – including the Tommy Hilfiger Men’s Reversible Belt our top choice – along with some buying tips, how to care for your belt, and even how belts compare with suspenders. Belts vs. suspenders: which one should I wear? A belt’s length is among the most important considerations you’ll need to make. As a general rule of thumb, select a length that’s one size larger than your waist (i.e., the waist size you use to choose pants). Others say you should choose a belt length that’s two, or even three s1izes larger than your trouser waist size. In any case, selecting the appropriate belt size must take into account how much extra belt length – or “tail” – is left once you’ve fastened your belt. A tail that’s too long isn’t a desirable look, especially with dress pants. You can go a bit longer with a casual belt, but don’t overdo it. Finding the right belt length is easier if you’re shopping in a store because you can wrap the belt around your waist to get a pretty good idea if it’s too long or short. Shopping for a belt online is a bit more complicated and, again, you should choose a length that’s one or two sizes more than your waist size. Width is particularly important when choosing a dress or casual belt (we’ll discuss the differences in a bit). Casual belts tend to be wider and less formal. Buckles with a tongue – You’ll find buckles with a tongue on countless belts; the belt slides through a loop made of metal and the tongue/prong is placed into a hole on the belt to keep it secure. Buckles with a hook – In this style of buckle, a flat metal or plastic plate has a hook on the back it that attaches to the front of the belt. Buckles with a sliding latch – In this case, the belt slides through a metal latch. A vertical peg inside the latch keeps the belt in place. Note: the bigger your belt buckle, the less formal it is. Dress belt buckles usually have a gold-colored or silver-colored finish. If you wear jewelry of any kind, such as cufflinks, your belt buckle should be within the same color range. Most belts fall into two categories – dress or casual. Which one you choose depends on your clothes and the occasion. You won’t find many belts that are suitable for both dress and casual occasions, but there are some, including a few on our list. Dress belts, as their name suggests, are more formal than casual belts. You’ll typically wear them with suits and other classier apparel, and you should keep a few things in mind when purchasing a dress belt. The width of your dress belt should be between 1 ¼” and 1 3/8.” Anything more than that is probably a casual belt and not dressy enough for more formal occasions. Leather is the preferred choice of material for dress belts but the belt’s label should say “full grain leather.” Beware of labels that say something like “genuine” leather, because it may not be the real thing. Suede is another material used for dress belts, but it’s not as formal as leather. A suede belt often works in casual situations, as well. Leather belts should have a shinier finish on dress belts than they do on casual belts. A dress belt shouldn’t have any excessive decoration or patterning on the belt. Keep it simple for formal occasions, gents. The buckle on a dress belt should be polished and styling kept to a minimum, if at all. Never wear a cowboy belt to a formal occasion. Polished gold buckles work best with brown or tan dress belts, while polished silver is the right choice for black or navy belts. 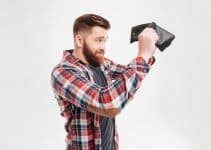 You can always buy a reversible belt – one with a different color on each side – but some experts claim that reversible belts wear out faster than other types. Leather is the most common material used in casual belts and, again, look for a full-grain leather belt. Not only does it look better, but it holds up better to daily use and many people wear their casual belt on a regular basis. You’ll also find casual belts made of suede and cotton, as well. Cotton is the most affordable and considered the most casual of all casual belts. The finish on casual belts is less shiny than on dress belts. They may have stitching, depending on your preference. There are more buckle options for casual belts, while buckle shapes can cover a wide gamut, from square to rounded. Black, brown, and tan are the most commonly-used belt colors. Your belt should match your shoes, particularly in a more formal setting; at the least, they should be a close match, if not an exact one. Now let’s move on the best belts for men 2019. You’ve undoubtedly heard of the Tommy Hilfiger brand by now, after all, it’s one of the leading designer lifestyle brands. The TH list of products is long indeed and includes men’s and women’s sportswear, footwear, but also watches, eyewear – and belts. Their men’s reversible belt aptly represents their brand’s quality and, in our minds, is the best belt you can buy in 2019. It’s reversible (with brown and black colors on the two sides) and classy enough to wear in both formal and more casual occasions. And, being reversible, you’ll get a lot of use from it because it’s easy to match to your wardrobe. It also has you covered whether you wear a dark suit or khakis. The Tommy Hilfiger Men’s Reversible Belt is made of 40% leather, 40% vinyl, and 20% polyurethane. The material is durable and has the flexibility that makes it comfortable to wear from the start. It also has a smooth, well-finished look that, again, makes it suitable for a variety of occasions. The buckle is the traditional single-prong style in which you run the belt through the buckle opening and secure it by fitting the metal prong into one of the belt’s holes. The buckle has a polished look, and is stable and easy to use. The belt’s width is 1.25-inches. The Tommy Hilfiger Men’s Reversible Belt will serve you well. It looks nice, it’s flexible and not too stiff, and works in both formal and casual settings. It’s also affordable and well worth the investment. What’s a belt without holes, right? Well, a Lavemi Men’s Leather Ratchet Dress Belt, for one, because it uses a removable buckle and 38 unique adjustments that make it easy for you to get the most comfortable fit possible. Plus, some men prefer the look of a belt without holes because it, among other things, provides a more custom appearance. To each his own, but you may want to give the Lavemi men’s leather ratchet belt a try if you’d like a “different” look, and a belt that allows you to adjust to your waistline as needed. In other words, you’re not limited to one-inch adjustments as with other belts. Ease of use – The buckle is easy to use as it automatically locks on to the belt once you slide the belt through it. To release the belt, push the lever on the side of the buckle. Durability – You’ll like the metal buckle’s durability, but also the durability of the belt strap – which has streamlined double stitching. You won’t find any loose threads on the edges on the surface or edges of your belt. Meanwhile, the buckle is resistant to rust, corrosion, and tarnishing, and is scratch-resistant. It retains its original look for many years. Style – Lavemi’s belts have a contemporary style and look that never seems outdated. Their buckles have a sophisticated look that works well with many styles of clothing. 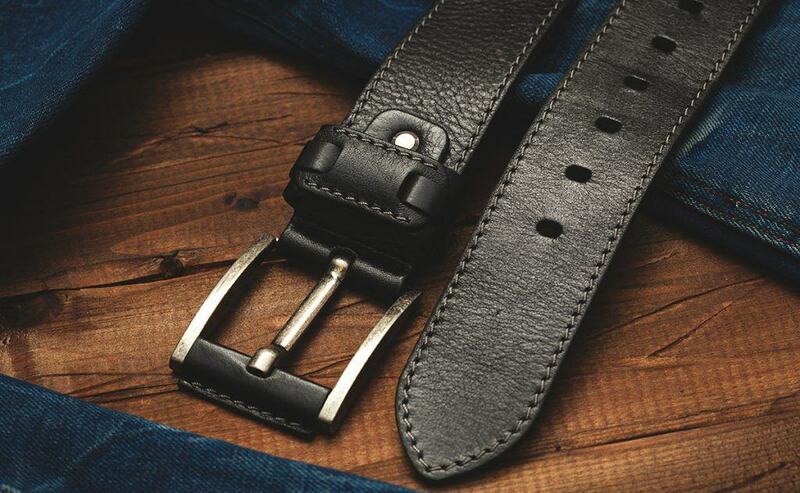 Versatility – While this belts name says it’s a dress belt – and Lavemi makes some of the best men’s dress belts anywhere – it also looks good with a pair of jeans or khakis. The men’s leather ratchet belt consists of leather and polyurethane that repels moisture, enables the belt to breathe easily, as well as age gracefully. We also like that Lavemi backs up your purchase with a full guarantee. If you’re not satisfied with one of their belts, you can return it for a full refund or a free replacement. Lavemi belts provide an excellent combination of function and form and their men’s ratchet belt is no exception. It looks good and feels good, thanks in part, to its ability to fit many waistline sizes. Marino’s ratchet belts garner a lot of well-deserved reviews. For starters, many wearers love the ratchet design that’s easy-to-use and which has a locking mechanism that holds it in place. Like Lavemi’s men’s ratchet dress belt, the Marino belt has 38 adjustments that allow you to get the most comfortable fit possible. There are none of the restrictions that come with the 1-inch adjustments on other belts; instead, you get the kind of fit that’s right for your waistline every time. Marino makes its belts with leather and polyurethane. While, true, it’s not full-grain leather, it’s a material that breathes easily, repels moisture, and provides years of use. It also looks good – good enough for a dressy occasion, for sure. Then again, Marino is one the best men’s belt brands available. You’ll also love the quality of Marino’s belt buckles. The buckles consist of zinc alloy, are scratch resistant, and also sturdy and lightweight. They’re also interchangeable so that you can choose a buckle that best fits your wardrobe. “Understated” is a word often used to describe Marino’s buckles, and it’s an apt description. Perhaps best of all, Marino’s belts have an ease-of-use lacking in some other ratchet-style ones. You simply insert the belt into the sliding buckle and pull the ratchet strap through until the buckle locks. Releasing the belt is just as simple as you merely press a small metal lever located near the bottom of the buckle. The Marino ratchet dress belt is a great option for business and classier occasions. You’ll like it how it looks and you’ll like how easy it is to adjust to your waist size. There’s no BS about the BS-40 belt (OK, couldn’t resist). Instead, what you get is a top-quality belt made from 100% leather that has a vintage feel, but one that fits easily into the modern world. The reason the BS-40 gets labeled as “vintage” is that it’s made from one piece of thick, real cowhide, just like belts from the 1960s and 70s. It also comes with snaps for interchanging buckles – you simply snap on and snap off your favorite buckle. Another thing we like about the BS-40 belt is that it comes in five colors, which gives you the option you need to make your belt mesh with your wardrobe. You also have a generous range to choose from regarding waist size; it’s available in sizes 32-46. Note: the belt’s size measures – in inches – from the end of the strap where you attach the buckle to the middle hole at the tip end. The BS-40 is 1 ½ inches wide, while it has several holes to provide flexibility. While the BS-40 100% leather belt is suitable for some, more formal, occasions, it’s an ideal belt for casual pants and jeans. We think it ranks among the best belts for jeans. The BS-40 ranks among the best belts for men for many reasons, including its full-grain leather construction. It’s ideal for wearing with casual pants and jeans, and the fact that you can interchange buckles is another plus. 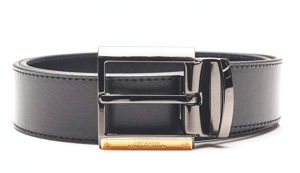 Versace’s Black Leather Adjustable Belt qualifies as a luxury product in every way, because it’s a true designer belt, as its price tag confirms. So, you might ask, why does a person need something “designer” for something meant to hold up your pants? Well, while it’s not for everyone, perhaps, the Versace men’s leather belt serves many other purposes besides keeping your pants from unceremoniously slithering to your ankles. For one, it can even serve as a centerpiece to your wardrobe, for another it allows you to meet your personal needs and style, especially if those tastes range beyond perfectly good, but more run-of-the-mill products. Besides, if luxury is one of your primary motivations, then Versace has something for you, including a belt made in Italy that 100% calf leather and comes with a Black Medusa head resin buckle with circular gold lining. The Medusa head is now an iconic symbol for the Versace brand and included on many of its designer belts. The shiny gold lining on the buckles offers a luxurious accent, while the all-black leather adjustable belt looks traditional, but with a decidedly designer feel. What do you get for the man who has everything? 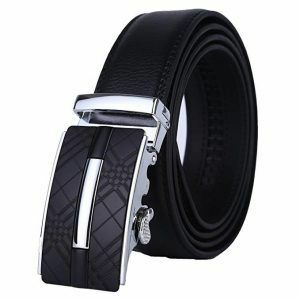 The Versace Collection Men’s Black Leather Adjustable Belt may be the answer. The Versace Collection Men’s Black Leather Adjustable Belt lives up the brands luxury, designer reputation. It looks great and suitable for any man who prefers a designer feel to everything he wears. We’ve already talked quite a bit about how not all belts are created equal. The Synthic Apparel men’s Genuine Leather Dress Belt certainly rises above the field with its classic smooth finish and superior stitching design. You can get it in black or brown to make it easier to match your shoes during dressier occasions. The brown version comes with a silver nickel buckle, or a buckle with a golden finish, while the black belt has a silver-finish buckle. Both buckles are single-prong. It helps you to achieve a sophisticated style and feel while adding a touch of class. 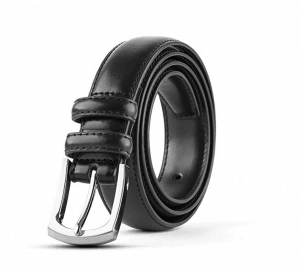 You’d be hard-pressed not to find the right fit for you, because the men’s Genuine Leather Dress Belt comes in waist sizes from 32 to 60 – including big and tall sizes. The belt’s width is 1.2-inches. Synthic Apparel has a generous exchange policy in which you can exchange and return your belt for free if you don’t like it within 30 days of your purchase. Its 100% leather construction helps ensure that your belt lasts a long time. The men’s Genuine Leather Dress Belt by Synthic Apparel has everything you’d expect from a belt meant for more formal occasions, including a nice design and three styles to choose from (thanks to its buckle options). It’s a high-quality leather belt that will serve you well. You may or may not have heard of the Xhtang brand but their line of belts ranks among the best available. That includes their Automatic Ratchet Leather Belt, which has everything you’d hope to find in a quality belt, and is one of Amazon’s top-sellers. As its name implies, this belt comes with a ratchet-type buckle and, thus, has no traditional belt holes. It has an easy-to-use slide mechanism in which you easily slide the belt into the buckle and pull it through until you get your desired fit. You can also trim the belt to fit any size if you so choose. Like other ratchet belts, the Xhtang belt always fits. Whether you lose weight or put on a few pounds, you can adjust it fit your waistline. What else do we like about this belt? It’s made from leather – the second layer of cowhide leather, to be exact. 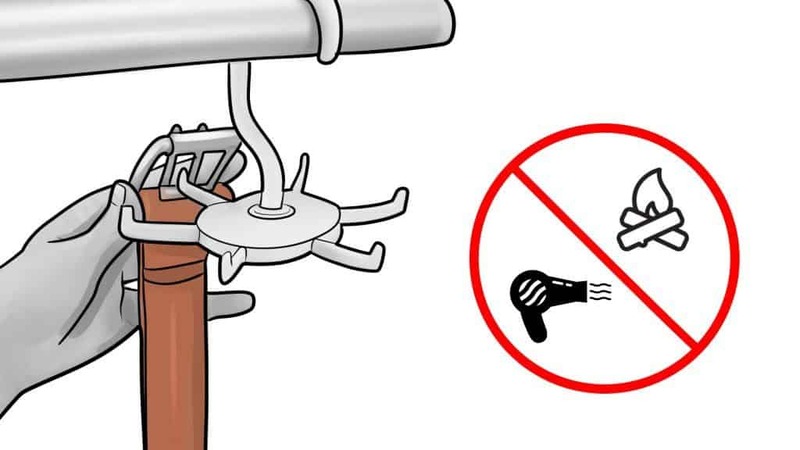 It’s easy to release the belt; you simply squeeze the lever on the buckle and it comes free. There’s not the potential of the leather cracking as there is with many belts that have holes in them. The Xhtang Automatic Ratchet Leather Belt is great for everyday use and works with a variety of wardrobe choices – whether your wardrobe includes jeans or more formal wear. The buckle is made from a zinc alloy that won’t show scratches. It’s very durable and should last you a long time. Like with other ratchet belts, the Xhang belt offers 38 unique adjustments. Many, many customers choose Xhtang belts over all other brands. Their automatic Ratchet Leather Belt looks good, is easy to use, and looks good for a variety of occasions. It’s hard to beat Dockers when it comes to a laid-back yet fashionable look and feel, and it’s a style that shines through in its men’s casual leather belt. While this belt pairs perfectly with jeans and a t-shirt for casual days, it’s also dressy enough for more fashionable occasions, thanks to its elegant but not too-understated look. Customers have eight color options to choose from, although black and brown remain favorite choices, because they go well with almost any outfit. Made from 100% soft, top grain leather, the strap is durable and made to last, thanks to solid construction. 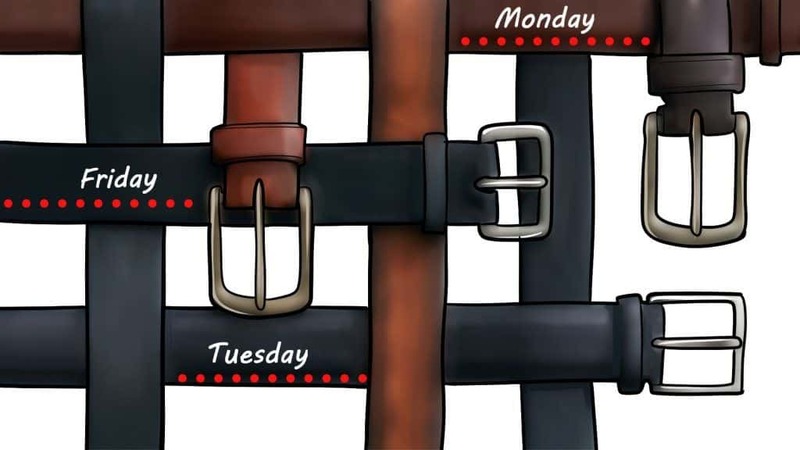 The strap ranges from 30 to 44 inches long and includes seven holes that help make it easier to customize the fit. Dockers suggests that you choose a length that’s 2 inches larger than your waist size to get the best fit. The belt’s width is 1.5-inches. The belt’s only stitches are at the buckle area, which minimizes the chances of them wearing out or of developing loose ends. The edges, meanwhile, include bevel detail and are carefully stitched. The Dockers Men’s Casual Leather Belt comes with a single-prong brass buckle with a metallic look, which isn’t too flashy or overstated. Again, it’s a timeless, classic style that’s ideal for any casual occasion. Dockers is a name that many customers trust for casual wear, and their men’s Casual Leather Belt is yet another example of the company’s attention to style and detail. Belts are like most other things – the better you take care of them, the longer they’ll last. Of course, longevity relates to the overall quality of the belt (cheaply made with cheap materials won’t last as long), but any belt benefits from a bit of TLC. 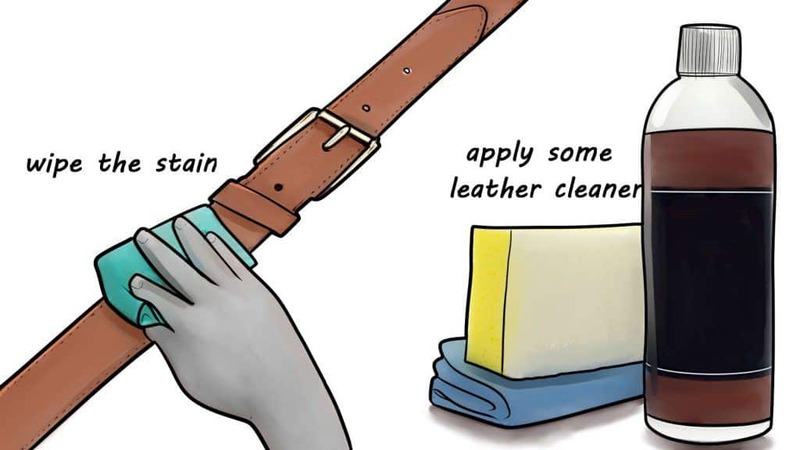 Here are some steps you can take to give your belt the care it deserves. There are a couple of ways you can store your belt to maximize its life and quality: 1) you can roll it up in a drawer (or shoebox), or 2) you can use a belt hanger that allows them to lie flat. A belt hanger is usually your best storage option. Hangers allow your belt to “breathe” and hang the way they’re supposed to and, after all, that’s how stores display them. Let’s face, sometimes stains and dirt happen. There’s no need to panic they show up on your belt but taking quick action is important. In most cases, a soft rag and some warm water will wipe away the mark. If it’s a stubborn stain, you may want to use a leather cleaner, however. 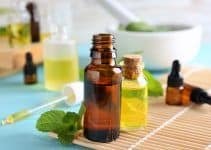 Once you’ve wiped the stain away, apply some leather cleaner with a soft, clean towel to replace the oils that were lost during the cleaning process. Let the cleaner sit for 15 to 30 minutes, or until it’s fully absorbed. Also, if you have a leather conditioner that you use on your shoes, you can also apply it to your belt without risking harm. Keeping your belt dry is important for ensuring that you get years of use out of it. If your belt does get wet, don’t try to hurry the drying process – let it dry naturally instead. Using a hair dryer or another drying source will leave it hard and brittle. Simply hang your belt in an open area at room temperature – never over a heat source – and let it dry on its own. While it’s important to remove dirt or spills from your belt promptly, it’s also a good idea to clean it with saddle soap – or another type of appropriate cleaner – every six months or so. You can clean it more often than that if you wear it on a regular basis. 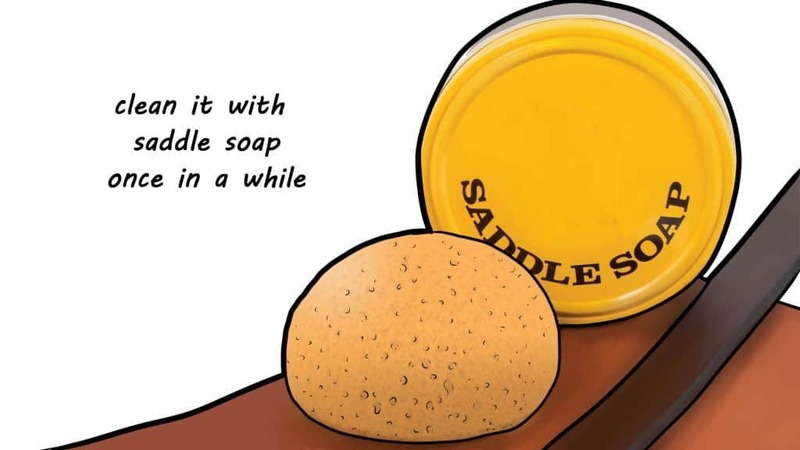 Make sure that you rub the saddle soap all over the belt, then wipe it down to remove dirt and the excess soap. If the belt is a bit stiff after cleaning, then use a conditioner before letting it hang to dry. Leather belts and leather garments of all kinds are susceptible to moisture damage, especially when stored in humid environments. 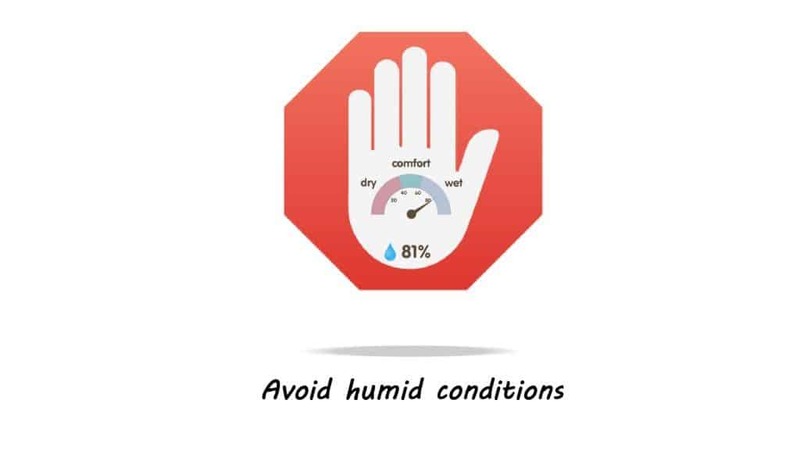 The general rule of thumb says that anything over 50% humidity can damage the leather because excess moisture will seep into leather’s pores and potentially cause mold and mildew. Some men prefer to wear the same belt on a daily basis. There’s nothing wrong with that, but know that your belt will last longer and look better longer if you rotate it among other belts and create some time between wearings. If you traced the belt’s roots to the beginning you’d probably have to go back to the Stone Age. Fact is, belts have helped hold things together since cavemen (and women) wrapped animal hides and furs around themselves to keep warm and to protect themselves. But history also tells us that the modern-day version of the belt didn’t catch hold until the 1920s. Eastern European soldiers wore them on the outside of their uniform for stability and because they added a bit of flair to otherwise drab military wear. The basic style of a belt – a long, tapered piece of leather or other material that cinches around the waist – hasn’t changed much over the years. But belts became the preferred option for many men who like their casual look and feel, and for how easy they are to adjust the waistline of their pants. There seems to be a belt for every occasion, as well – from the police officer’s belt to luxury brands that look good at a swanky business or yacht party. They also come in a variety of colors, though many men stick with the basics (black or brown). Belts help “break up” your wardrobe, too, especially as a nice contrast to your shirt-shoes-pants color scheme. The natural shape of a man’s body, i.e., the inverted triangle, can draw attention to the waist. That said, a belt adds nuance to a fairly visual point on your body. While some men choose to go beltless, it’s always a good idea to wear a belt if your pants have belt loops. Those empty loops stick out like a sore thumb. A belt saves you from embarrassing moments, such as your pants sliding dangerously lower than your waist, and adds fashion and style to your wardrobe. When you add a stylish belt buckle to the mix, well, you’ve lifted your fashion game another notch. 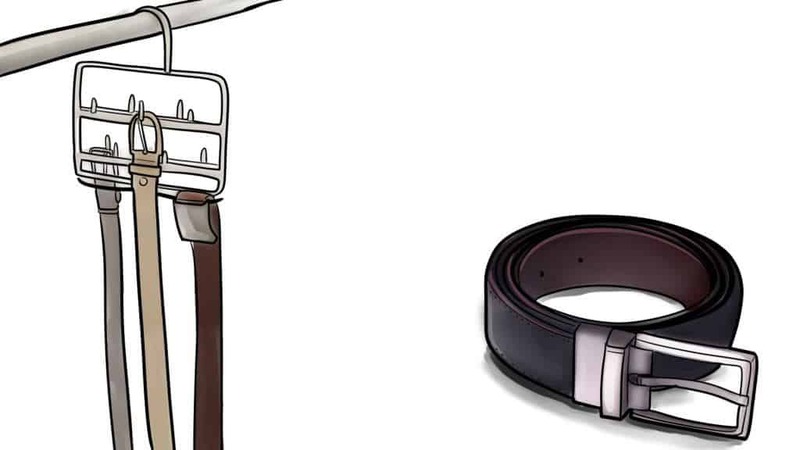 Among a belt’s other virtues is that it keeps your shirt tucked in. All that standing and sitting will pull your shirt out from your pants and give you a sloppy appearance, particularly in cases where an untucked shirt doesn’t cut it. So, where would we be without belts? Caught with our pants down most likely. It’s highly likely that your grandfather, or great-grandfather, wore suspenders. Not that they’ve gone out of style, but many men only wear them for special occasions – like when they’re wearing a tuxedo, for instance. But suspenders remain a viable option for, ahem, holding your pants up while also adding a nice dash of flair to your outfit. 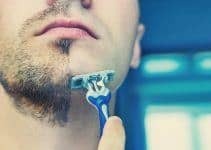 Plus, there’s more to them than meets the eye, as well as some benefits to wearing them (or, at least benefits that suspender aficionados like to mention). Before we take a closer look at all things suspenders, here’s something to always keep in mind when choosing between a belt and suspenders: don’t wear both at the same time! It’s a fashion no-no, fellas. Suspenders fasten to your pants with metal clasps or button loops. Clasps are easy to work with, but may damage the cloth. Button loops attach to buttons sewn in the waistband of pants. When in doubt, enlist the services of a tailor to sew the buttons into your waistband. Suspenders are a good choice for men who are overweight. One of the problems with having a big belly is that your pants may fall well below your gut; suspenders help to keep pants at your proper waistline. Many folks claim that suspenders help build better posture because the body naturally straightens and balances itself because of the (light) pressure that suspenders apply to the shoulders. Others claim that suspenders promote a leaner Of course, how you appear depends on the perceiver, but they say suspenders paired with dark clothes – or dark suspenders paired with brighter clothes – make a man look slim. Suspenders are versatile and help their wearers create a variety of looks. You can wear them over T-shirts, under a suit coat, or with khaki pants and a dress shirt for a more casual office look. One of our aims in choosing the top men’s belts for 2019 was to provide a diverse selection of products. We wanted to include belts that were suitable for a variety of occasions, but also ones targeted specifically for formal or casual settings. We also wanted to include at least one luxury, “designer” belt, which is one of the many reasons Gucci made the list. 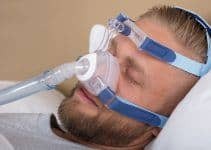 Other things that factored into our decision was durability, ease-of-use (particularly with ratchet-type belts), and the reviews of customers and others. We hope it’s a list that you’ll find valuable and helps you choose the right belt for you. As always, we welcome your feedback and suggestions. Do you wear any of the belts on our list? If not, what’s your favorite brand of belt and why? We’d love to hear from you! You made a good point when you said that belt can contribute in your fashion style especially when it’s worn with the right wardrobe. My husband loves belts and belt buckle, and I love how he wore them with style. In his 56th birthday, I will give him a dozen of assorted belts as a gift and he will surely love them.